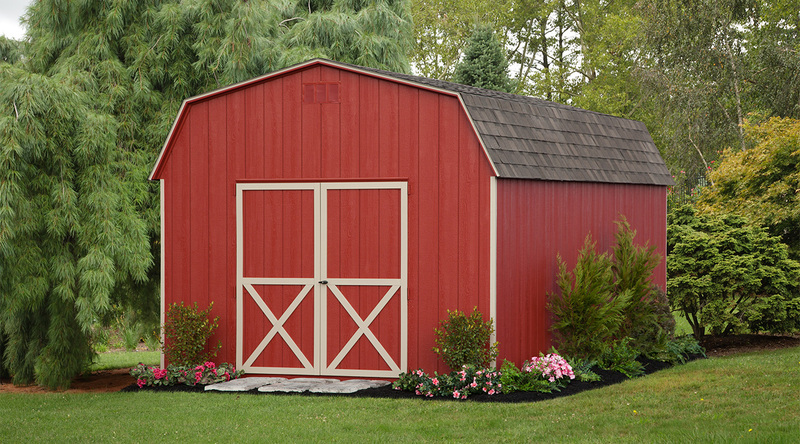 When you’ve got a lot of equipment or gear to store, the spacious Dutch Barn is a great choice. 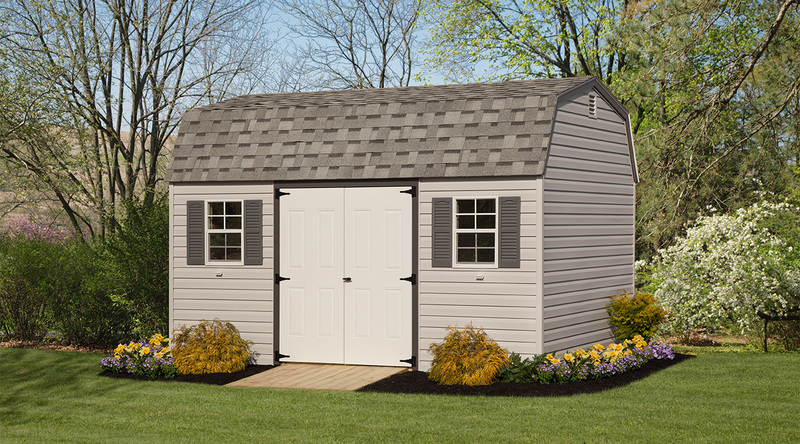 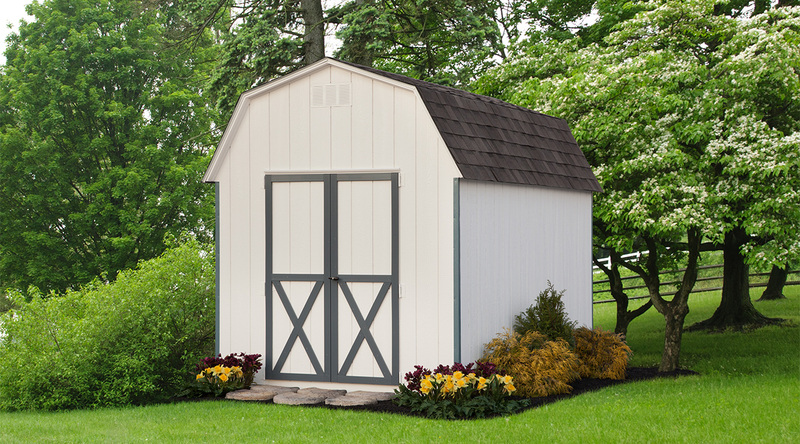 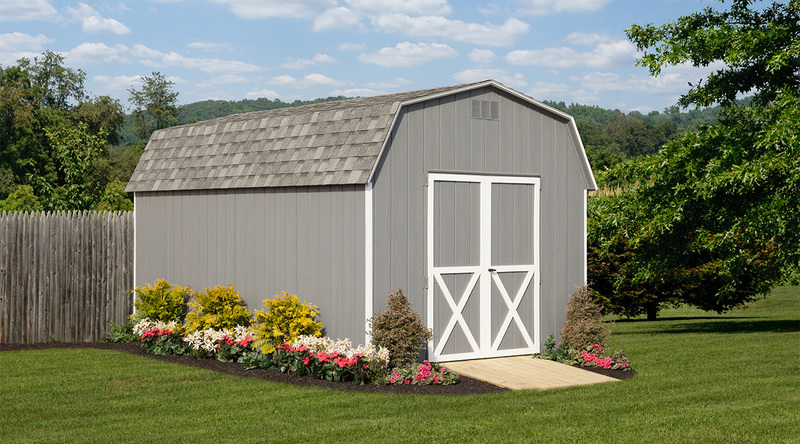 With its cherished roof style, convenient double doors, high walls, and durable construction, it promises to work hard for you year after year. 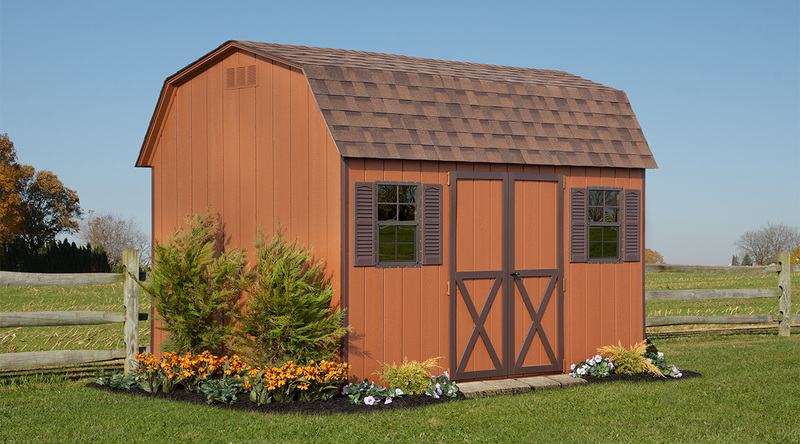 Available in wood or vinyl.